Thank you so much for a lovely evening. I'm sure you could tell that everyone enjoyed it! It was a perfect end to a wonderful, happy day – I've never seen (my daughter) laugh and smile so much. Thank you for making our Wedding Anniversary such a wonderful and memorable occasion . . . . What a night! Thank you so much for bringing your Ceilidh band to the wedding on Saturday. Many of our guests have commented on the variety and quality of the playing, and the calling was splendid! Thank you for an amazing evening. 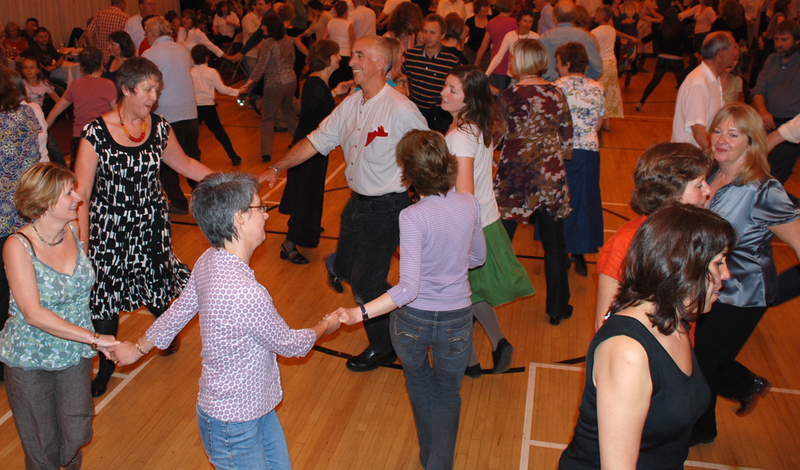 I was delighted that your music brought so many people in to have great fun dancing. It was a very special evening for me, and for others who are still talking about it, weeks later. Please thank everyone in the band for their lovely gift of music. Thanks for a splendid evening and wonderful music. Thank you for the fabulous ceilidh at our wedding. The music and dancing was great and we and all the guests had a really, really lovely time.